The default configuration for Halo CE does not allow you access the developer mode (-devmode) commands. However it is simple to create a startup icon to start in devmode. NOTE: When in devmode you cannot access the internet lobby or start an internet game. First right click on the Halo Custom Edition Icon on your desktop then select "copy". 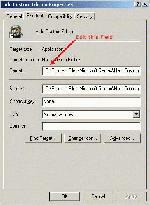 Right click on an empty space on your desktop and click paste to make another copy. Click and highlight the new Icon and press [F2] and rename it to "Halo CE Devmode" or something similar. Right click on the new Icon on your desktop and select properties (see image). 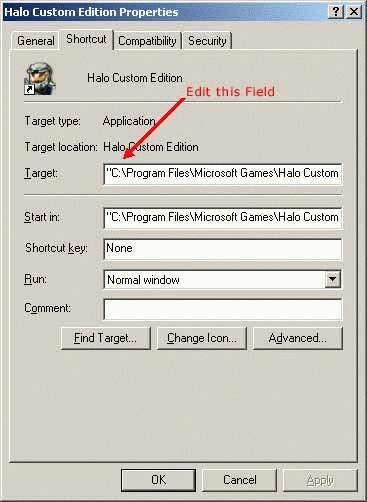 "C:\Program Files\Microsoft Games\Halo Custom Edition\haloce.exe"
This will enable Screenshots, the game command console and developer mode when you start the game with this Icon.